About: Melur serves Malaysian cuisine, inspired by the street food of Malaysia offering variety and authentic, exotic flavours. My most recent review was a little bit stingy . . . I therefore hereby unreservedly upgrade the mark which was previously awarded. 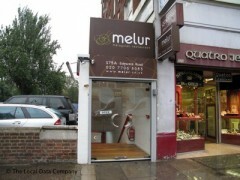 Melur is a Totally Wonderful Place to Eat ! Great Value for anyone on a Very Tight Budget ! We had to wait 20 mins before anyone came and took our food and drinks orders. When we got our food it was almost 45 mins after ordering and the food was cold and too spicy. Very cold atmosphere in the restaurant, we went at 8pm and there were only 3 other dinners. Will not be going back any time soon.